SKOLKOVO Research - Transparency in the non-profit sector: what is it and who needs it? Transparency in the non-profit sector: what is it and who needs it? Moscow, January 29, 2015. – "Third Sector Transparency" roundtable was held on the 27th of January, 2015. The meeting brought together key suppliers of information on the sector, such as CAF, Evolution and Philanthropy, RusFond and Transparency International. They discussed existing international transparency initiatives and how these could be adapted for the Russian context. Let’s face reality: from the point of view of a consumer, like you and me, the non-profit sector provides a service, just as businesses do. We are either consumers of its free services directly, or we pay or volunteer so that these free services could reach those in need. Apart from this slight variation it is no different from any other service. In fact, it may even deserve more credit for filling in the gaps that the commercial and governmental sectors fail to see. However, while its contributions are of irreplaceable value to society, supporting the non-profit sector is often made impossible by the fog of ambiguity hanging over it. Let us pause and consider what would transparency of the non-profit sector mean to us? Probably being able to see the sector in the same way you do, say, all the restaurants of a city, simply by opening up a specialised search tool. Wouldn’t it be great to sort through various funds by categories, ratings and maybe even having a glance at the reviews? To do this through a resource you trust, that puts you only a click away from helping a cause that matters to you. This is what lies at the tips of your fingers, while the roots of the transparency issue run much deeper than that. The obscurity currently associated with the non-profit sector starts with an absence of uniform classifications and legislations on the governmental level when it comes to funds. That is the top-down problem. The bottom-up solutions, initiated by the sector itself, often lack scale and result in the formation of various groups, each with their own different approach to dealing with issues of transparency, which are not always evident to us, the so called consumers. 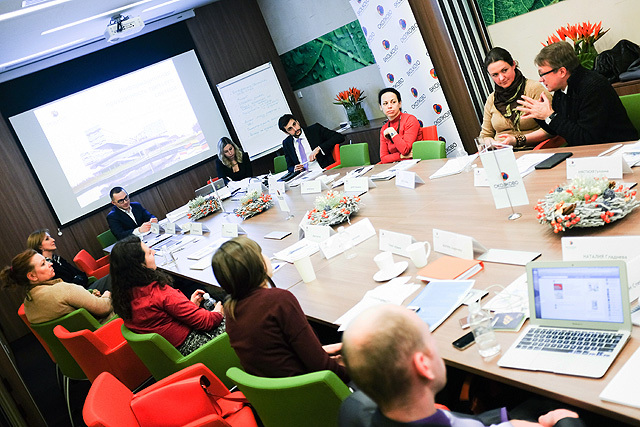 The SKOLKOVO Wealth Transformation Centre addressed these problems at the roundtable it held on the 27th of January, 2015. The meeting brought together key suppliers of information on the sector, such as CAF, Evolution and Philanthropy, RusFond and Transparency International. They discussed existing international transparency initiatives and how these could be adapted for the Russian context. As a result a working group was formed with the task of creating implementable solutions to create transparency both for the non-profit sector and those who work with it, as well as for mass public.